If you’re reading this, you're probably having a problem with termites, roaches, ants, bedbugs, mice or some other unwanted pest. We want to help you! We are a family owned company based out of Lake City, SC. Our experienced technicians only have one goal in mind--to make our customers happy. That is why we offer a guarantee with all of our treatments. Just give us a call at 843-210-3478 and let us tell you more about our services and how we can help you. Our commitment to you will be unmatched. Service is what separates Eastland from the pest control competition. Your time is valuable, so we will always keep you updated on when your exterminator will arrive. 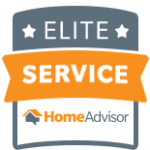 Our technicians will explain their evaluation in a clear, easy-to-understand manner. Eastland Pest Control is committed to best in class service that is family friendly and safe. Your satisfaction is our commitment. Eastland offers both one time and quarterly pest control. We utilize a diverse product line to provide excellent residual control, as well as cater to any particular problems. Also, our technicians always follow label instructions to ensure your family's safety.